With visual support, most non-toolbox issues such as resetting a monitor or adjusting equipment can be resolved remotely in less than 10 minutes. Visual support reduces advisor travel time and farmers get up and running quicker, maximizing problem resolution time for customers. We know that a traditional farm gate service costs a dealer $400-$600 inclusive of labor, truck, and mileage and often takes 2+ hours to complete. Save time and money with a remote support solution. Farmers and subject matter expert advisors can reach each other more quickly via one touch virtual access. Farmers get solutions from agriculture professionals and agriculture professionals advise each other and farmers daily. Using a support platform that tracks time, individual tickets, notes, images and instant farmer feedback keeps advisors organized so they can stay focused on their most important activity – serving customers. 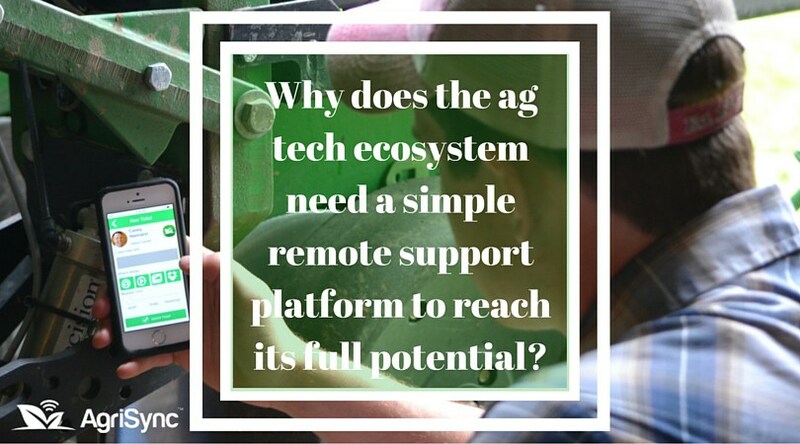 A simple-to-use, remote support solution should offer practical, effective benefits for farmers, ag professionals, and the broader agriculture industry, easing the challenge of feeding a hungry planet. 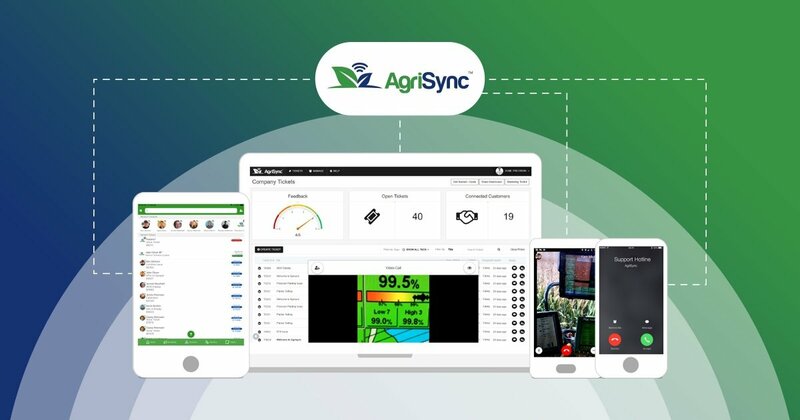 We at AgriSync are thrilled to provide such a solution.